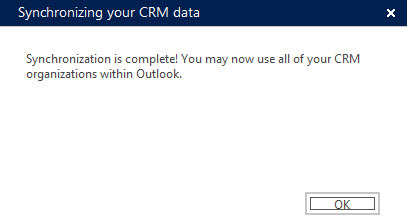 Today, when I launched Outlook I received what looked like a terrifying message that our CRM organization was disabled. One of the benefits of being a CRM MVP is access to the CRM Product Team. After posting this to our group I received a very prompt explanation. 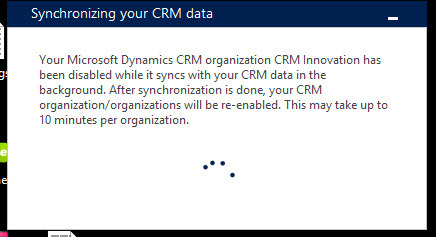 It appears that due to the broad range of changes to the CRM metadatabase from SP1, the first time sync to CRM from Outlook can take substantially longer. The team added the notification to alert you that it would take more time that longer to sync with Outlook. In my case it took only about 5 minutes. So don’t worry, this is all standard operating procedure. By the time you read this post, the message may have likely been edited, specifically the part where it says” your crm organization has been disabled’. They are going to tone that down.